Story : Zita was raised by a troop of ninjas, but after learning their culture, sold to a rock band. They put streaks in her hair and taught her how to sing. But, soon after, she was left at adoption centre. Her last family was her favorite. They were very stutuidous, and taught her how to read. They did something the other families didn't. Cared. Thing I Love the Most : Family. 3 Thing I Dislike : Roaches, Sushi, Ants. Thing I Hate :Spicy food! Hey, welcome to Chocolate town! What sort of presentation would you not accept? Well, the weird story Sam had when he was a baby. That was very......no comment. Good point...that was just...I think i'll leave it there. Let's never talk about it again. 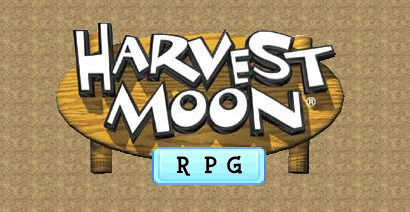 Funny, yes, but absolutely strange in an Harvest Moon Game. But after second tough, Zita's story is a little bit strange. I thought my story was cool. Different is good who cares what others think! Sam, please. Your baby story wasn't a good example, so just shut up. Zita, it's not that i don't like it's, it's just.......a little bit too exagered for an Harvest Moon Game. Yeah, they had proper ninjas back then. Heey!! you have it? how cool!! can I see it?